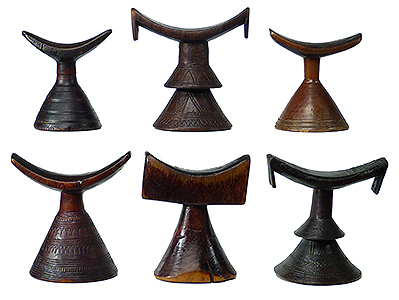 All of our Ethiopian headrests have been vetted as authentic, many with evidence of significant age and use. In many African cultures, small wooden "pillows" are used to support the head during sleep and in some instances to preserve a hairstyle. 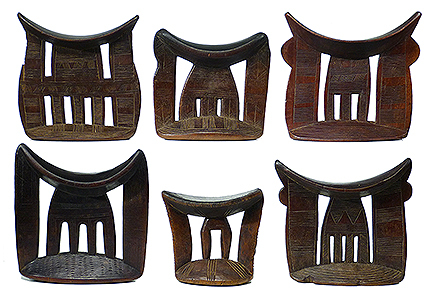 In Ethiopia, the headrests come in several forms and relate to other intricate, but abstract works.